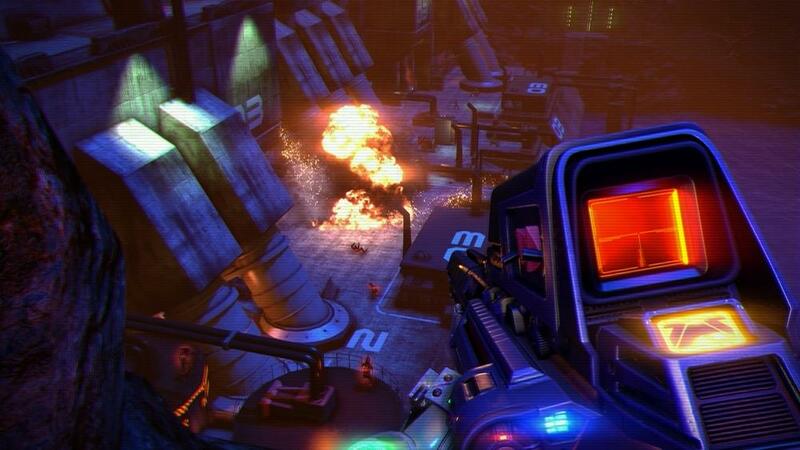 Blood Dragon, the bizarre, colorful DLC coming to last year’s Far Cry 3, will be making its way to Xbox 360 May 1 as a standalone product. Unlike the average downloadable content, the main game’s cast of characters seem to be absent in Blood Dragon. Instead, according to a new official listing on the Xbox Live Marketplace, the player will be in charge of Sargent Rex Colt. As a Mark IV Cyber Commando doing battle against a cyborg army gone rogue, Colt only has three objectives: kill bad guys, get his girl and save the world. You know, simple things. In this DLC, players will be able to “experience every cliché of a VHS era vision of a nuclear future” as they fight off evil in this colorful world. Blood Dragon won’t require the original Far Cry 3 disc either, making this seem even more like a separate product from the tales of Jason Brody. Look for this “80’s VHS vision of the future” May 1. What do you think of this silly new content for an otherwise serious game? Do you like this style of DLC? Let us know what you think by leaving a comment below!